← Queen – Sleeping On The Sidewalk. Queen – Who Needs You. Publicat pe 15 iulie 2015	de Cristi M.
Brian Harold May, is an English musician, singer, songwriter and astrophysicist who achieved international fame as the lead guitarist of the rock band Queen. He uses a home-built electric guitar, called the Red Special. His compositions for the band include „We Will Rock You”, „Tie Your Mother Down”, „I Want It All”, „Fat Bottomed Girls”, „Flash”, „Who Wants to Live Forever” and „The Show Must Go On”. He was appointed a Commander of the Most Excellent Order of the British Empire (CBE) in 2005 for „services to the music industry and for charity work”.May attained a PhD in astrophysics from Imperial College in 2007 and was Chancellor of Liverpool John Moores University from 2008 to 2013.He has homes in London and Windlesham, Surrey.He is an active animal rights advocate and was appointed a vice-president of animal welfare charity the RSPCA in September 2012. 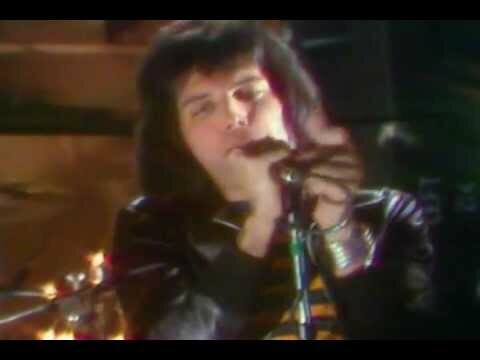 2 răspunsuri la Queen – Who Needs You. I’ve been away from blogging for so long, I missed your blog! That hairdo is priceless, right? Those long curls are just awesome and so 80’s. How are you? Everythig ok?